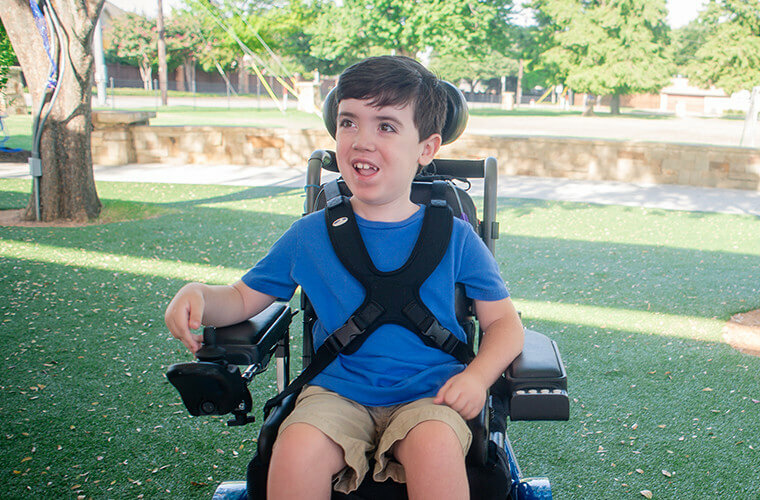 Kaden’s diagnosis of Congenital Muscular Dystrophy came when he was just 4 months old, and with it came the realization that he would never walk. He received his first Permobil power chair at 17 months old, finally giving him the independence to play with his peers and most importantly, allowing him to be his own person. Unfortunately, as Kaden grew, the generic seat began to cause him discomfort after hours of sitting each day. Once we made the switch to the ROHO® cushion, he has never complained about his bottom again. His life has been forever enriched by both of these products.